6" (15 cm) hand circumference. 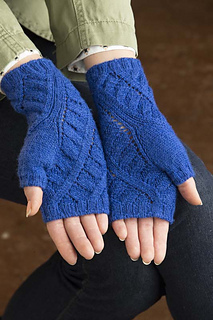 These quick to knit mitts spin right, and left, around your arms and hands. 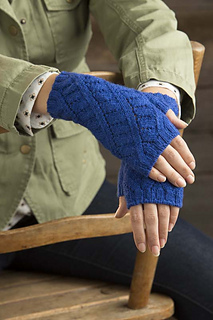 The lace repeat is easy to memorize and mirrored; the right mitt spins right and the left mitt spins left.